Brand new Waikiki’s Biggest Show® features a “Hawaiian Journey®” from 1920s to current through powerful performances of music and dance in our 750-seat premier theater! Rock-A-Hula® artists sing their greatest hits with their own natural voices, as well as dance and play instruments. They are accompanied by a rockin' live band and fabulous dancers. In circumstances beyond our control, the artists line up may change. Jason spent most of his childhood on tour with his family, learning the inner workings of the entertainment business. After high school, he moved to Los Angeles, where he recorded his first CD and starred in major film and television projects, such as Friends, Ali McBeal, Beverly Hills 90210, Charmed, and several others. 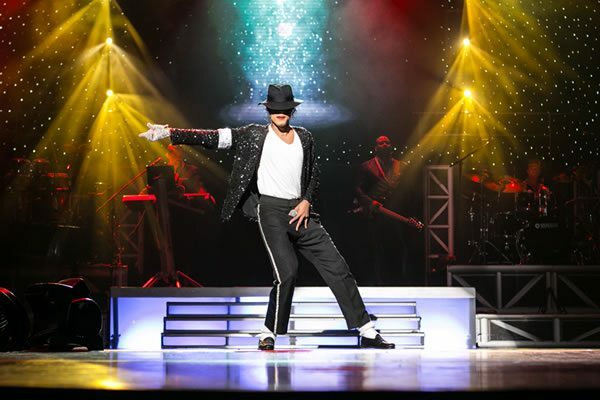 The King of Pop’s influence on his life led him to audition for the hit production show, Legends in Concert, which he has been featured in for hundreds of engagements all over the world.